An acne breakout is a skin condition that is triggered by a number of reasons. Although it is commonly associated with teenagers, adults also have to deal with it from time to time. Understanding the common reasons that causes one to develop acne can help prevent and heal acne breakouts. The Nu Skin Clear Action Acne Medication System is a simple but effective system that consists of a day system and night system products including a cleanser, toner and moisturizer. Used regularly, this clinically proven system will help clear the signs of past and present acne breakouts. It also help manage the full range of effects that acne can have on your skin. Night Treatment – It erases signs of breakouts and helps you wake up to healthier-looking skin. 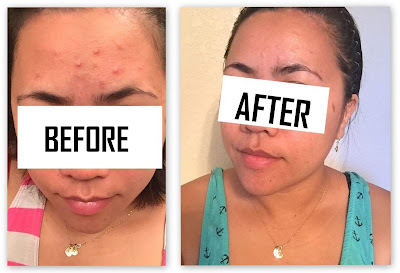 I've been struggling with pms acne for a few years now, and I'm telling you is not pretty. I tried a few brands already for my acne caused by menstruation but none of them really worked. 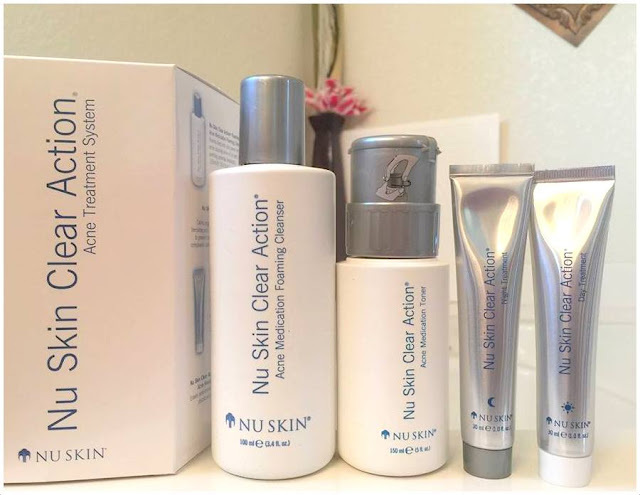 Good thing I found this awesome Nu Skin Clear Action product system! I've been using it for three weeks now and the result was impressive! I was actually surprised how well it worked and the acne scar is fading, my skin is glowing and it feels smoother than before. I have to say that this system has the perfect balance of effectiveness and being gentle enough to not kill my skin. I would highly recommend this product to everyone. For more details or would like to order, you should visit nuskinops.com and don't forget to use this promo code EXCLUSIVE20 for a 20% off discount. So what are you waiting for? Disclosure: Product mentioned above was provided for FREE for product endorsement/review purposes. Happy it;s working for you. My stepson has bad acne and I have been looking for something gentle to get him. This stuff looks awesome! I like that there's a system for night and a system for day - because my skin is so different during those times. I'll be checking this out now - thank you! I am so glad I am past the zit age. When you find a product that works it is awesome. Great products and nice packaging too. I'm going to check this thanks! It is so wonderful that there are so many products like this to help people with acne and blemishes. I know how much stress it may cause, so thank goodness there are some remedies. DANG! Those results are AMAZING! I am going to tell a few people about this that I know would try it and need it! This sounds incredibly effective. It would be nice having a system like this for those random breakouts. I really need to try something that fades the scars and decreases my acne. I'll check this out. I remember two years ago we have a NU Skin product, I think it is for a facial gadget that has a ground in my face lol. I'd like to try this. ACNE is a self esteem killer. It's nice that we have a lot of options to treat it. Thanks for sharing details about NU Skin! I am really impressed with the after results. This is the first time I have heard of Nu Clear. I am going to have to try it out! I have some problem areas that I am not happy with. This sounds like such a great skincare line! I've been having a lot of skin issues recently- I think I'll give this a try! Luckily I am over the acne stage but I'm glad there is help for others! Oh, I can really see the difference. These products really work. My son's skin breaks out from time to time. I will get this for him. What a great skin care im so amazed with the result. i would recommend this to my sister. Acne can be a horrible thing to deal with. I am glad it is working for you. wow. that product looks promising! It looks like it did wonders to your skin. Although I do not have any acne, I this would make for a very good anti-aging cream. NU Products are amazing and really effective! I would like to buy this one day and make it try. This looks like a good product, will have to check it out locally for more detail. I've never heard of Nu Skin! This looks like it does an amazing job! My son suffers from severe acne. I would like for him to try Nu Skin. I need to try this with my 14 year old daughter! This is exactly the kind of product I need. I have been getting acne around my chin, and it's just driving me nuts. I can't seem to clear it up. That's great that these products are working for you. I've heard of NuSkin before, but haven't tried it yet. That looks like it gave you good improvement. I have hormonal acne and am still looking for something to help. I'm glad I don't have to deal with this any more, but I know my girls would have appreciated this product when they were younger. They did have success with a different product, though. You can really tell the difference between the before and after this product had made your skin glow. Great gift just in time for the holidays.